Future missions to the Moon, Mars and beyond will require innovative options to shelter our explorers, and we won’t be able to carry all of the materials with us from Earth. 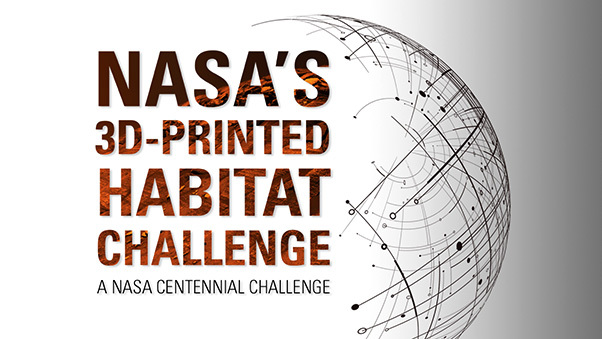 NASA’s 3D-Printed Habitat Challenge, a Centennial Challenges competition, seeks ways to create or develop the technologies needed to create such habitats on-site, and challenges citizen inventors to lead the way. Today, NASA and challenge partner Bradley University of Peoria, Ill., announce the opening of Phase 3 of the competition for team registration. In addition to NASA, Bradley University has partnered with sponsors Caterpillar Inc., Bechtel and Brick & Mortar Ventures to run the competition. NASA’s Centennial Challenges Program is part of the agency’s Space Technology Mission Directorate, and is managed at Marshall Space Flight Center in Huntsville, Ala. For more information about the program, visit http://www.nasa.gov/winit. 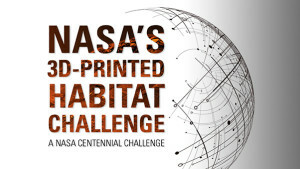 For more information about other challenges and prize opportunities with NASA, visit http://www.nasa.gov/solve.